Last week we had a really inspiring and energising Everyday Decisions stakeholder meeting. 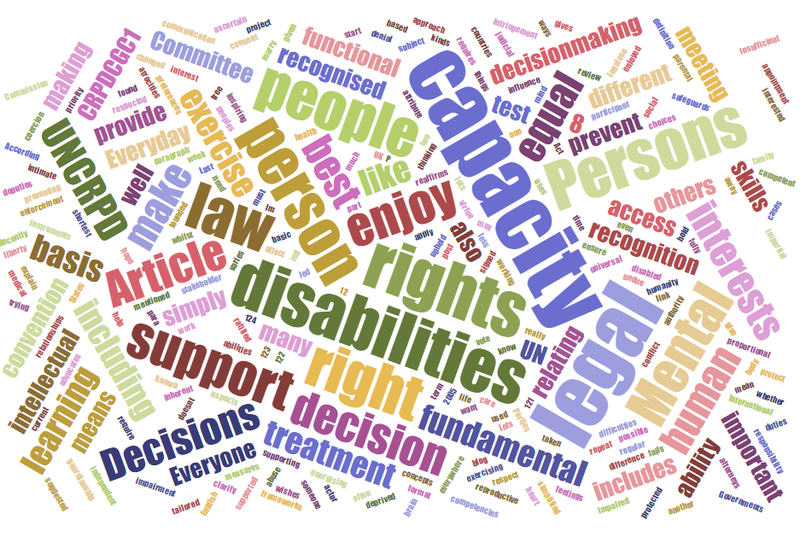 At the meeting, one participant mentioned that whilst most people working in health and social care supporting people with intellectual disabilities, learning disabilities and learning difficulties know what ‘mental capacity’ is, the term ‘legal capacity’ is much less well used or known. In this blog post, I hope to clarify the difference between these two concepts, and explain why I’m so interested in legal capacity. This doesn’t tell us what ‘legal capacity’ is, simply that everyone (including people with disabilities that affect their thinking and learning abilities) has it. Article 12 of the UN Convention on the Rights of Persons with Disabilities (UNCRPD) reaffirms disabled people’s rights to ‘equal treatment under the law’. This includes “the right to recognition everywhere as persons before the law” (Article 12(1)), and recognition that “persons with disabilities enjoy legal capacity on an equal basis with others in all aspects of life” (Article 12(2)). The UNCRPD also requires that States Parties (that is, countries that have signed and ratified the convention, including the UK) provide “access by persons with disabilities to the support they may require in exercising their legal capacity” (Article 12(3)) and “safeguards to prevent abuse”, which “ensure that measures relating to the exercise of legal capacity respect the rights, will and preferences of the person, are free from conflict of interest and undue influence, are proportional and tailored to the person’s circumstances, apply for the shortest time possible, and are subject to regular review by a competent, independent and impartial authority or judicial body” (Article 12(4)). The Committee on the CRPD clarified how Article 12 should be interpreted in their first General Comment. This all seems very complicated, but actually legal capacity is quite a straightforward legal concept. Let’s break it down into some easier to digest ideas. Legal capacity is an important part of the fundamental human right to equal treatment under the law. If someone is not fully recognised as a person before the law, this is an infringement of their basic, fundamental human rights. History tells many stories of the abuses that follow from not respecting the fundamental human right to equal treatment under the law: the slave trade and the Holocaust both grew from ideologies that considered some humans as something other than ‘persons’ before the law. In the slave trade, slaves were considered property; in Nazi Germany, Jewish people, Roma people and people with disabilities were considered ‘sub-human’, and millions were exterminated in the Holocaust death camps. International human rights instruments like the UNCRPD, and the enforcement of the rights they protect, are important in preventing a repeat of these kinds of atrocities. To “enjoy” legal capacity means more than simply to be recognised as a person before the law. It also includes the right to do things. To make choices that are respected by law. To be an actor under the law. “The denial of legal capacity to persons with disabilities has, in many cases, led to their being deprived of many fundamental rights, including the right to vote, the right to marry and found a family, reproductive rights, parental rights, the right to give consent for intimate relationships and medical treatment, and the right to liberty.” (Committee on the Rights of Persons with Disabilities, CRPD/C/GC/1 para 8. Legal capacity: the formal ability to hold and to exercise rights and duties. Everyone has a right to legal capacity. Mental capacity: the decision-making skills and competencies of a person. Mental capacity varies from person to person. Some people need support to enjoy their legal capacity. Support to enjoy legal capacity can be given in lots of different ways, some founded on simplified communication, some based in the appointment of people to help with decision making, like attorneys, deputies, and advocates. Support to exercise legal capacity is a human right protected by the UNCRPD. Governments have a responsibility to provide access to support. Support means support (not best interests, or coercion). 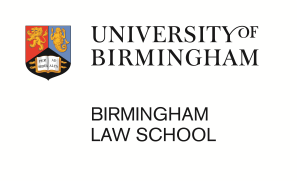 People with impaired mental capacity have often had all of their rights to enjoy legal capacity taken away from them on the basis of their decision-making skills. Legal frameworks like ‘guardianship’ prevent people from making decisions for themselves, even if they do have the mental ability to make a particular decision. Guardianship laws still exist in many countries worldwide. The Mental Capacity Act 2005 assesses capacity on a decision-specific basis, and uses a ‘functional test’ to ascertain whether a person with an impairment of the mind or brain has the capacity to make a decision. If the person fails the functional test, then another person can make a decision in their ‘best interests’. Recently, the Law Commission suggested that English law relating to best interests decisions should be changed, because the current approach to ‘best interests’ gives insufficient priority to the wishes and feelings of the person who is at the heart of the decision. Was this too much detail? Would you prefer to look at our easyread infographic about legal capacity? The Everyday Decisions project is all about legal capacity. We want to find out how, and how well, people with intellectual disabilities are supported to enjoy their legal capacity. If you work with people with intellectual disabilities, and have experience of using the Mental Capacity Act to support decision-making by people with disabilities, we’d love to hear from you. Please consider taking part in our research. If you are a person with a disability that affects your ability to make decisions, we’d also love to hear from you. Please think about talking to us as part of our research. We’d be delighted to hear about your experiences of enjoying legal capacity, and times when you’ve needed support to make decisions.